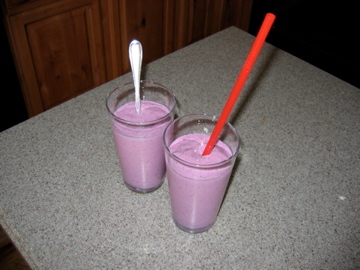 Smoothies - On a Food Storage Blog? 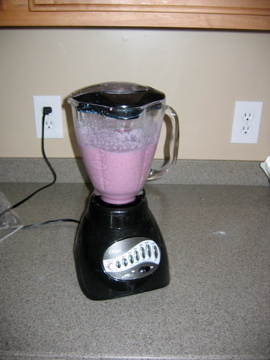 So I have been making these delicious smoothies lately and couldn’t figure out if I could justify sharing the recipe on a food storage blog. The other day when I ran out of milk it dawned on me I could try some of my powdered milk in it instead. Well, I did it! It was delicious, so now I can officially share the recipe on a food storage blog (not to mention all the other ingredients are frozen, so they can count as food storage if you have a big freezer). *instead of water for the liquid part of the milk, you can use juice for the flavor, and the powder to make it creamy! Put bags into the freezer and use them up as you wish, all you’ll need to add is the milk and sugar. Click here to get your box today – because let’s be honest if you’re anything like me, you’ll forget next time you are at the store. As we discovered when we interviewed Crystal, the author of I Can’t Believe It’s Food Storage … powdered milk is a GREAT food storage item to start using in your everyday cooking.